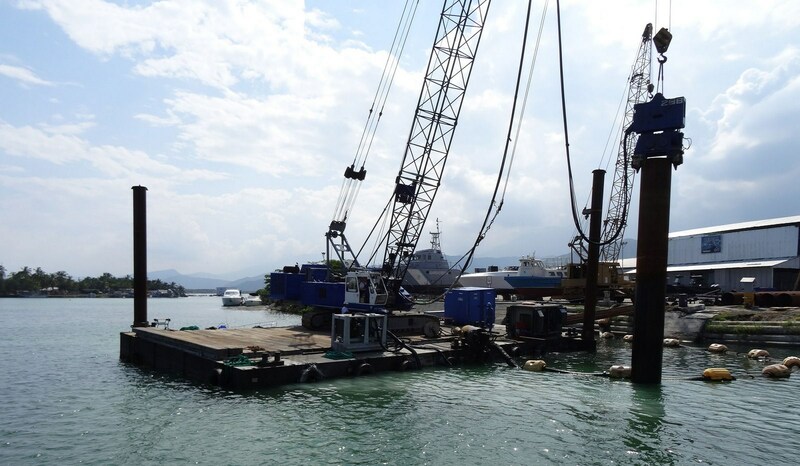 Modules can be combined with each other and other equipment to create customised solutions. The container-sized modules can be easily transported by truck, train or ship to anywhere in the world. 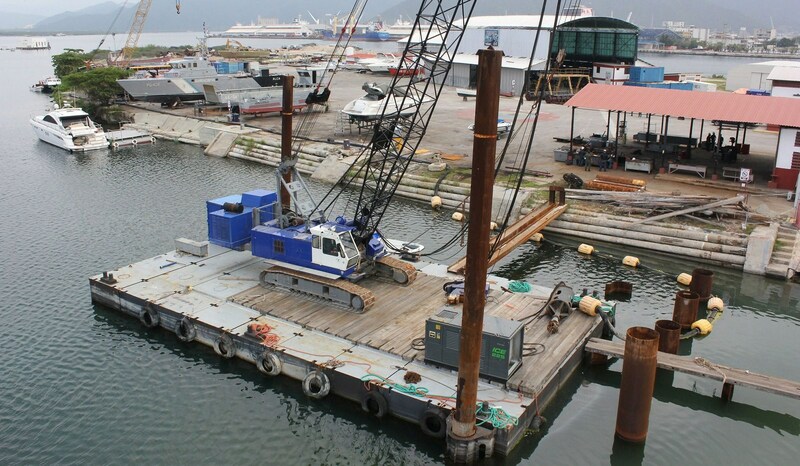 The Damen Modular Pontoon consists of container sized units and can be transported by ship, truck or train. 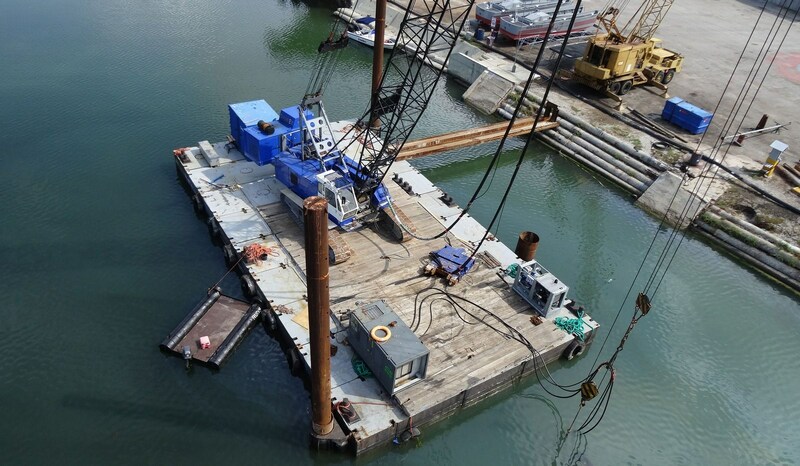 The Damen Modular Pontoon is highly suitable for piling operations in waters up to 50 m in depth. 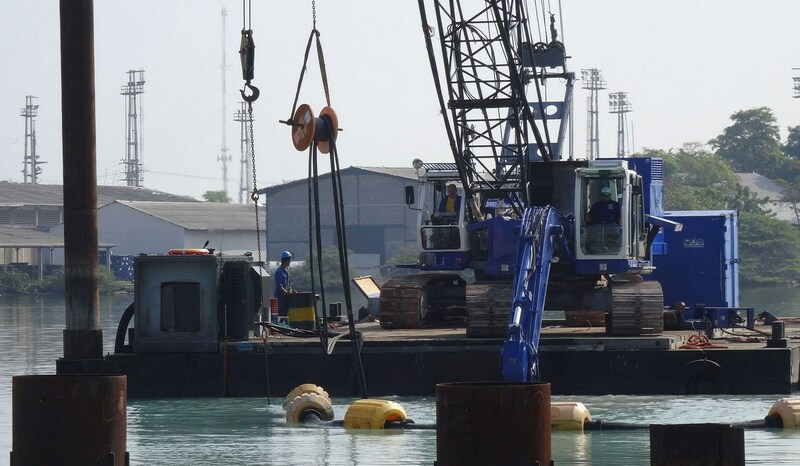 The Damen Modular Pontoon is provided with crawler crane, excavator, crane mats, power pack, DOP pump, hydraulic hammer, bollards and modular spud system. 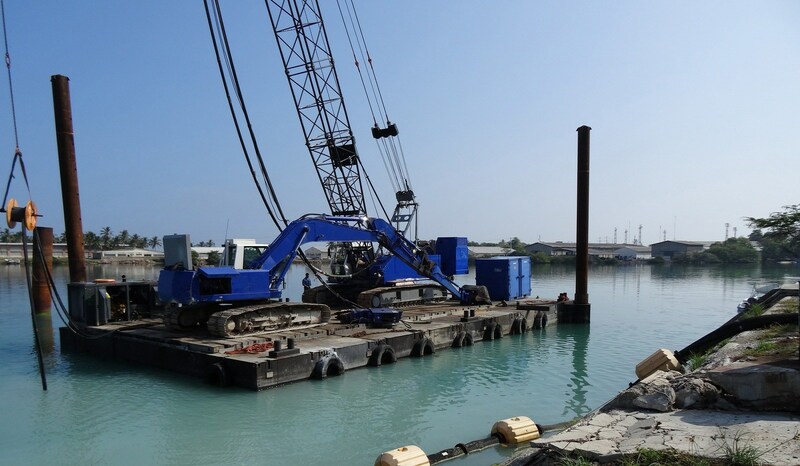 The Damen Modular Pontoon is equipped with Damen DOP Pump and excavator for dredging operations.